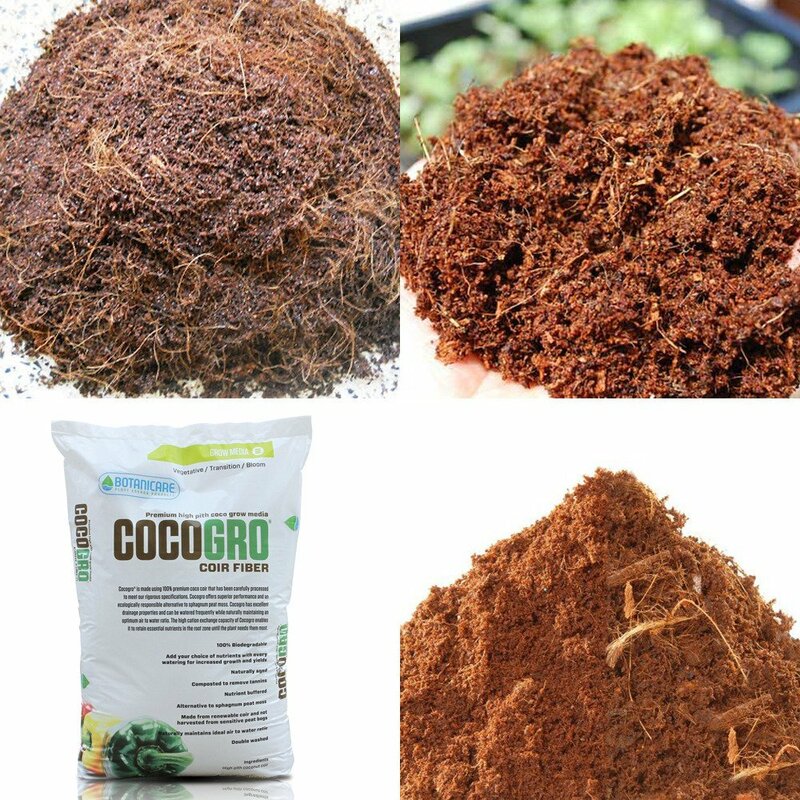 Coconut coir (also called coco coir, coco peat, or simply coir) is a soil-less potting medium made from coconut husk residue. A natural, fibrous material, coir is growing in popularity as an alternative to sphagnum peat moss and other potting mixes because it’s renewable: 50-200 coconuts can grow per tree a year, meaning as coconuts continue to grow, be harvested, and processed, then exteriors of the nut can be used for coir. Gardeners are excited about coco coir (pronounced “kwaher”) because it drains well and needs less watering than most potting mixes. Coco has also become a favorite soil-less medium in hydroponic gardening. Water retention and drainage. The naturally-aerated structure of this medium let it hold up to 8 times its weight in water. Yet because the material is fibrous, moisture drains well to the bottom of the container. Low compaction. Tough, coarse fibers resist crushing. More airspace means more oxygen can reach roots. Containers filled with coco coir do not “settle” as is the case with peat moss and other soilless mediums. Low maintenance. Coco requires less maintenance than usual potting mixes because it retains moisture and nutrients. Environmentally-friendliness. Coconut coir is a 100% natural and biodegradable. As a renewable resource (coir is made from coconut-processing waste) it’s becoming more and more attractive to gardeners, particularly as an alternative to sphagnum peat moss (which is considered a nonrenewable resource that the gardening community is using rapidly). Disease-resistance. Less humidity due to good drainage means fewer diseases strike seedlings grown in coco. Coco coir comes in several forms. Brick or bale. These compressed blocks take up less room and weigh less to buy than the hydrated equivalent – a helpful factor if you’re ordering by mail or if you simply have to cart the stuff home from the garden center. The disadvantage of coco coir bricks that you must hydrate them before using – most often by submerging them in water. Be ready for an adventure. Coco absorbs up to 5 times its volume in water. Packaging will contain clear instructions for adding water, but be careful to add it gradually because fibers act like mini-sponges. If you’re not paying attention, you could have a “coir explosion” on your hands (or in your wheelbarrow, whichever the case may be.) Fluff the hydrated stuff with your hands to make sure the fibers are separated from one another. Pellets. Convenience is the name of the game with these nifty individualized cubes. Place them in your growing container, add water, and they will expand to fill the pot – with little or no mess. Hydrated. Water is already mixed in. Sodium content. Low-quality coco often has high sodium content, which can be a problem for healthy tomato plants. You can avoid that problem with mixes like Eco-Co Coir which have had excess salts removed. Watering. Coco has a high rate of water retention and does not have to be watered nearly as often as other soil or soilless mediums. But that very advantage means using coco may take a bit getting used to. While there’s a claim out there that “you can’t overwater” coco coir because it drains well, keep in mind that coir also retains water well. Its surface may feel dry, but just an inch below can remain soaked. Monitor watering carefully. Even in the driest conditions, coco coir does not have to be watered more often than every two days. Is coir better than other potting mixes? Coco coir has been seen to promote excellent plant growth. However, in a study by Utah State University, sphagnum peat moss outperformed coir. Yet when combined with sphagnum peat, your favorite potting mix, or other nutrients, coir offers a win-win solution: an environmentally-friendly way to start seeds, increase water retention, prevent disease, and keep maintenance at a minimum. Bottom line: read package contents. You can also use coir as a growing medium in conjunction with a wicking mat to maximize drainage and moisture balance. 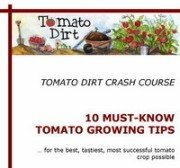 Sterile potting mixes: do you need them for growing tomatoes? What potting mix should you use to grow tomatoes in containers?